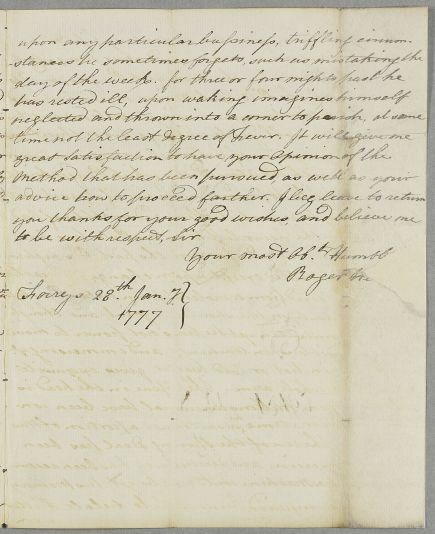 Letter from Roger Herriot, replying to Letter ID 3919, seeking advice in the case of Rev. James Munro of Kinloss, on whom he has previously consulted Cullen. Rev. Munro is hemiplegic: the paralysed leg is swollen and he suffers from pains in the arm. He has been treated for fever and suffers from costiveness. Herriot discusses exercise with the 'Spring Deal'. 'Electricity has been recommended, but a machine could not be got'. 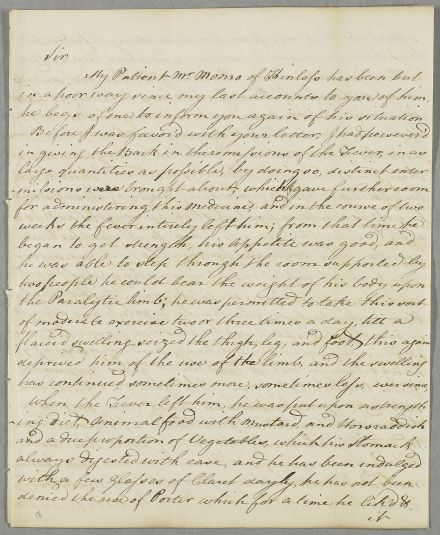 Summary Letter from Roger Herriot, replying to Letter ID 3919, seeking advice in the case of Rev. 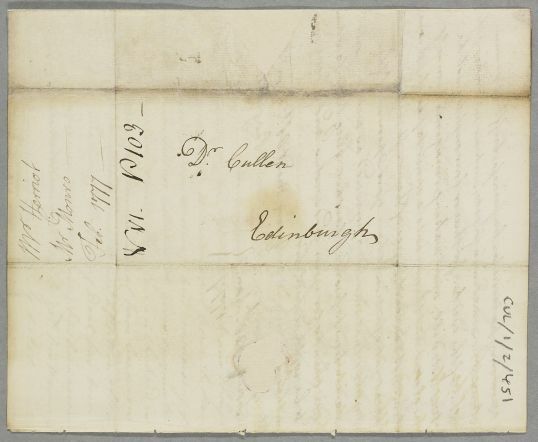 James Munro of Kinloss, on whom he has previously consulted Cullen. Rev. Munro is hemiplegic: the paralysed leg is swollen and he suffers from pains in the arm. He has been treated for fever and suffers from costiveness. Herriot discusses exercise with the 'Spring Deal'. 'Electricity has been recommended, but a machine could not be got'. 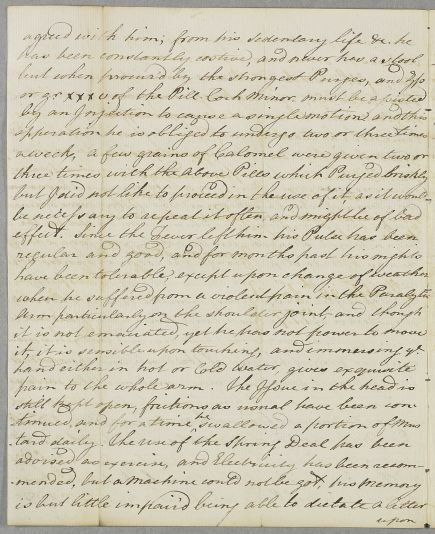 Case of Reverend James Munro with paralysis of the limbs. in a poor way since my last accounts to you of him. He begs of me to inform you again of his situation. has continued sometimes more, sometimes less, ever since.